Tune in Live TONIGHT to MJWJ in Houston to the live premiere of Tanille’s song Feel IT! Tonight 8-10pm CST. 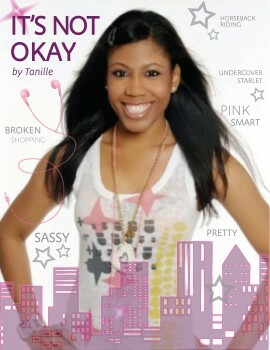 And checkout Tanille on live for an interview tomorrow night! Feel It by Tanille Playing Everyday Throughout the Day Now in Los Angeles and Chicago on WKRPFM! Catch the premiere of Feel IT in the UK! Feel It debuts live for the UK Premiere on Radio Cardiff 98.7fm (FM if you live in South Wales, UK), worldwide online at www.RadioCardiff.org or TuneIn Radio app (Radio Cardiff) tonight October 7th, 2014 between 7pm -8pm.